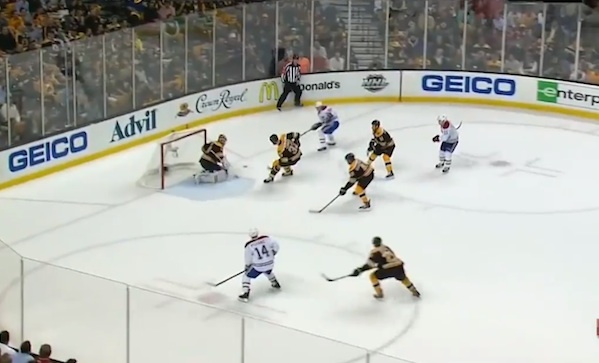 The most beautiful goal of the night belonged to Max Pacioretty, but the most satisfying was the final goal off Chara’s skates and into his own friggin’ net. Consider it punishment for cheap shot hockey, Chara and company. The only way the night would have been more satisfying is if Lucic, a man who just can’t leave other men’s groins alone, had also done so. He ended the night by threatening a couple of Canadiens during the handshake. Stay classy, Boston.